Want to learn how to make a movie? Registration now open for the 2018 PCFF Youth Filmmaking Workshops for kids ages 6 to 17. 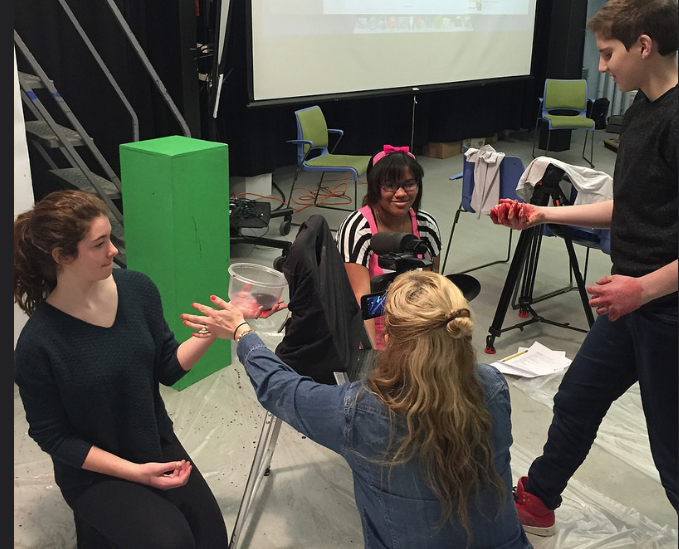 Learn the art of animation, experiment with a green screen, create a music video and more! Participants’ collaborative films will be included in the 2018 Group Workshop Reel, shown on the big screen during the Festival! Classes often sell out, so don’t delay – register today! Cost: $65 for the whole day, includes material/equipment fee, lunch and 2 courtesy passes to the 2018 Festival, Feb. 16-25. Want to make a movie? The PCFF Give Me 5 Youth Film Lab challenges teens to work collaboratively to complete a one-minute film, in only six hours. Assigned teams guided by a film coach will make a film from beginning to end: brainstorming, writing, storyboarding, acting, filming, and editing. At the end of the lab, parents are invited to watch the finished films and hear the teams discuss the process. No previous filmmaking experience required! Because this workshop is partially funded by the Rhode Island State Council on the Arts, in-state residents will receive placement preference. STEP 1: Reserve and pay for your seat STEP 2: complete a student profile. Prefer to go old school? You can also register by mail. Print a copy of the entire application and return it to PCFF, PO Box 6724 – Corliss Street, Providence, RI 02940. Seats are filled on a first-come, first-served basis. Cost: $45 per 3-hour workshop. Includes material / equipment fee PLUS allows student and 1 guest to attend the Youth Filmmaker Showcase free of charge. Limited scholarships are available. Find out how to make a music video that rocks! This exciting workshop breaks down the process of music video production. Workshop attendees collaborate as a group to storyboard and construct visuals to make a video for a locally recorded song by a You Rock School of Music youth band. Ever wondered how a green screen works? 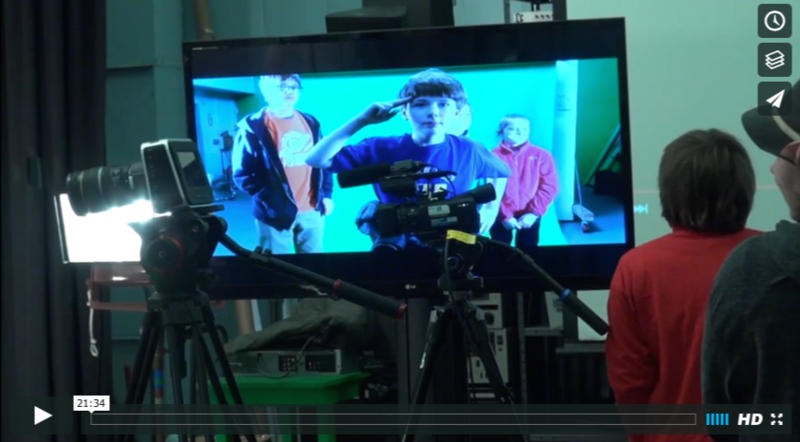 In this workshop students learn the fundamentals of green screen special effects and take turns filming themselves in front of a green screen with their own artwork becoming the backgrounds. Kids are encouraged to bring small objects from home to create their own characters (supplies also provided). 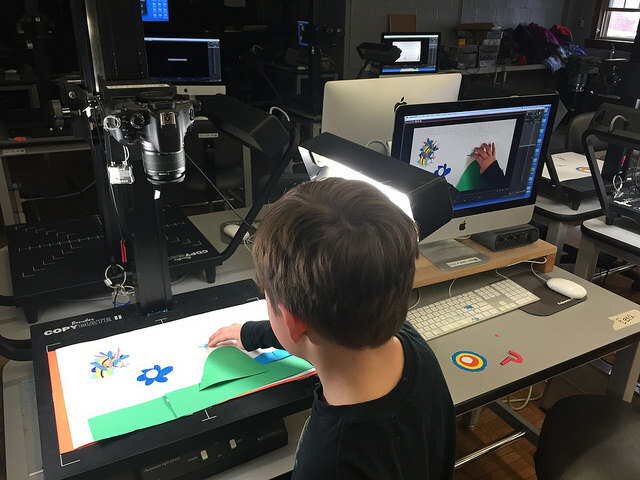 Then get ready to bring them to life on the screen in this animation workshop. Have a blast while learning how to make something appear to jump and soar in space! Kids get to play with their food and make it appear to come to life with some movie magic! These noms will seem to grow to enormous sizes and chase this class around! Please let us know of food allergies. Discover the world behind practical special effects using common ingredients. Concoctions of slime, blood, and alien drool will be made in class. Learn how to use a camera to fly, slide, and teleport! Find out how to make a music video that rocks! This exciting workshop breaks down the process of music video production. Workshop attendees collaborate as a group to storyboard and construct visuals to make a video for a locally recorded song by a Girls Rock! youth band. WAITLIST: Class sold out? Join the waitlist.